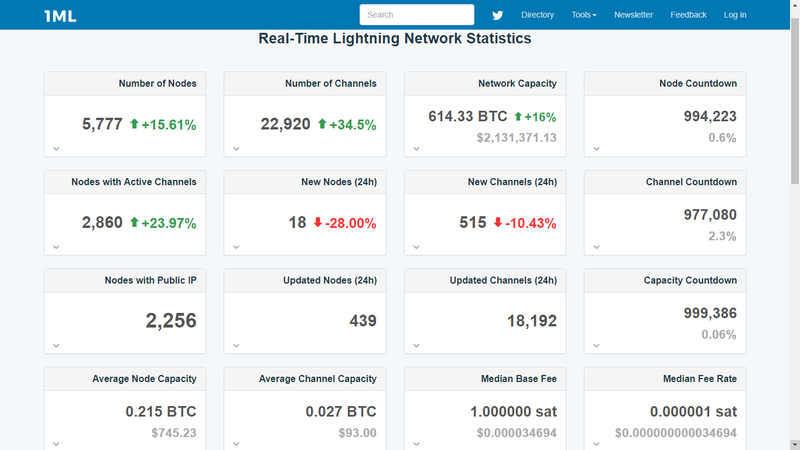 Lightning Network continues to grow at a steady but very promising rate, and despite the bad advertising from some rivals altcoins, every day more users are willing to try this technology, increasing not only the nodes and payment channels but the capacity to process transactions manageable by this network. According to data from the monitoring website 1ML.com, a few hours ago, Lightning Network managed to surpass the capacity of 600 Bitcoins (a little more than 2 million dollars) and reach 614.32 BTC. These figures represent a considerable advance in capacity by more than 15 percent over last year. 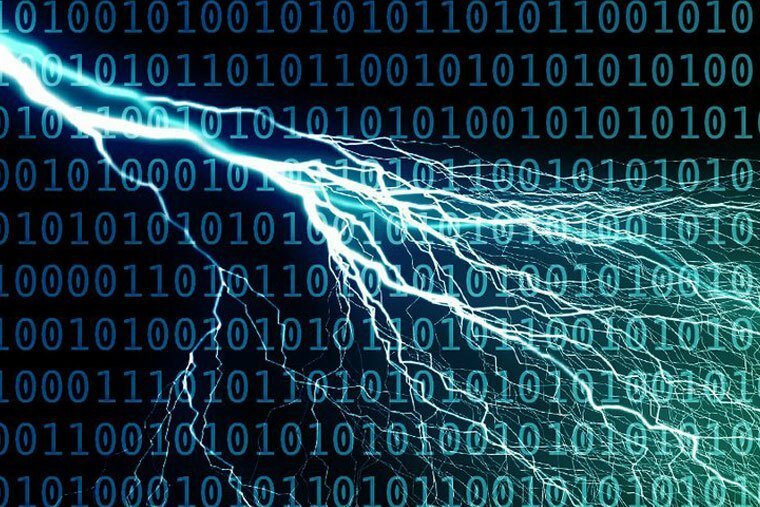 It is important to note that due to its configuration, the more nodes the Lightning Network has, the faster it allows transactions to take place, and of course, as network capacity grows, operations can be of greater value. The number of nodes also increased by more than 16% to 5777 active nodes, a number that is continuously growing. Likewise, real usability has increased considerably with 22920 payment channels open. This represents a 37% increase over last month. Lightning Network is a second layer solution created to solve Bitcoin’s own scalability problems. Despite being still being under development, it has already proved its success, registering a median fee rate of $0.000000000034707. Much less than the figures recorded by some altcoins that compete directly against Bitcoin, promoting as strong points the speed of transaction and low fees. The use of Lightning Network has increased thanks to the support of various campaigns carried out by the community of Bitcoin enthusiasts. One of the most popular right now, Lightning Torch, accumulates with time more users interested in this technology. Also, the growing number of new Wallets with support for Lightning Network has allowed users to know first hand this type of technology. As previously reported by Ethereum World News, just a few days ago, Lightning Network had registered a capacity of 557 Bitcoins; however, due to price volatility, the dollar equivalent is quite similar to the current one.